JDP's comprehensive range of duct pipe systems caters for all aspects of building works and enables total identification, protection and access to cables and service pipes. Twinwall HDPE, solid wall Polyethylene and solid wall uPVC systems are available to suit the various applications depending on the specification and project requirements. This section has been laid out by application which includes Power, Motorway Communications, Street Lighting & Traffic Signals Telecommunications, Cable TV / Fibre Optics, Water and Gas. General purpose use ducts, manufactured in twinwall HDPE and solid wall uPVC and accessories are included in this section. 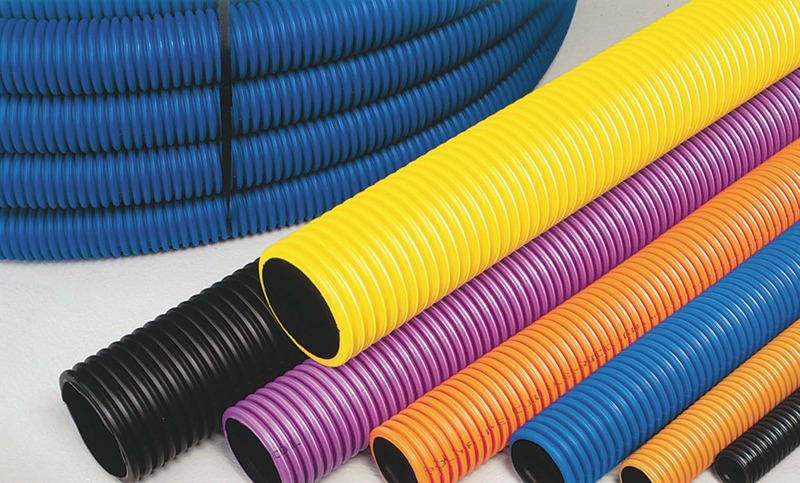 In addition to the standard products within this section JDP’s parent company DYKA has manufacturing capability for thick walled uPVC pipes up to 8” imperial and 630mm metric sizes, which can be used for ducting applications that demand an extremely strong thick walled, heat resistant pipe. Non standard lengths, colours and markings can be produced providing the quantity constitutes a reasonable production run.